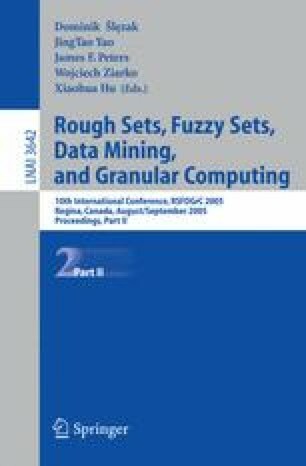 This paper presents an application of hierarchical learning method based rough set theory to the problem of sunspot classification from satellite images. The Modified Zurich classification scheme  is defined by a set of rules containing many complicated and unprecise concepts, which cannot be determined directly from solar images. The idea is to represent the domain knowledge by an ontology of concepts – a treelike structure that describes the relationship between the target concepts, intermediate concepts and attributes. We show that such ontology can be constructed by a decision tree algorithm and demonstrate the proposed method on the data set containing sunspot extracted from satellite images of solar disk.